Place the lime rind and juice, sriracha, oil, salt and pepper in a large bowl and mix to combine. Reserve 1¼ tablespoons of the marinade and set aside. Add the chicken to the bowl and toss to combine. Cover and refrigerate for 15 minutes to marinate. Preheat a char-grill pan over medium heat. 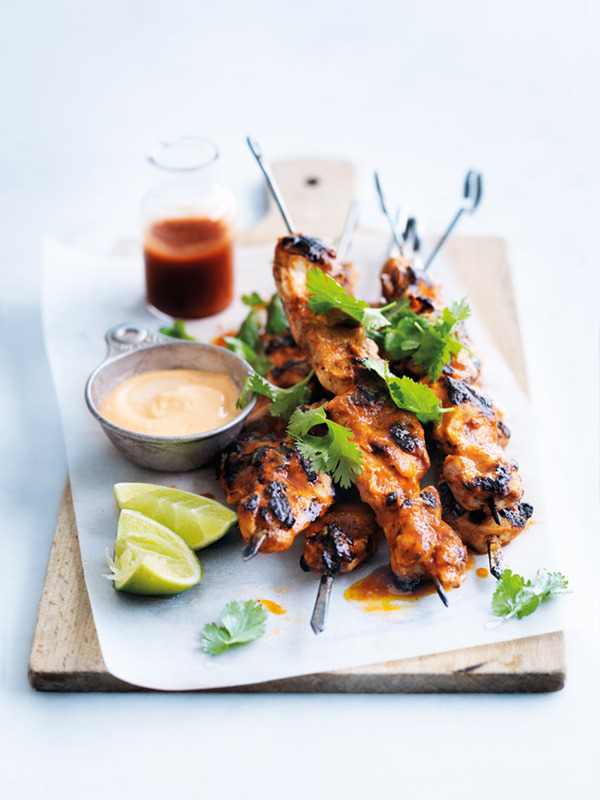 Thread the chicken onto 8 metal skewers, brush the chicken with the extra oil and cook, in batches, for 4–5 minutes each side or until charred and cooked through.